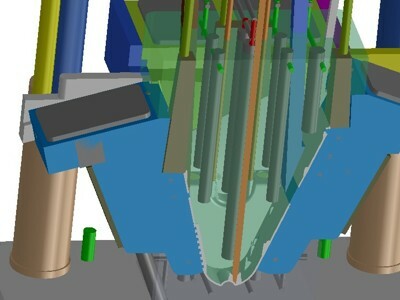 With Plant, Tool, and Machine design you are basically dealing with design for one offs. Design budgets can easily end up being as significant as build costs, and they should be. Getting it right at the design stage will typically mean that projects have every chance of coming in on time and within budget. If such projects are inhibited by design budget then it is highly likely that this cost saving will be consumed in any case mainly in rework and likely to also ultimately end with an inferior outcome. Experience is the key to keeping both the design and build cost down. Design Smart sub-contracts resource in this area as need be. We use one of New Zealand’s most experienced Machine Designers, and we also work alongside New Zealand’s best Tool makers for the trickiest projects. For more straight forward projects we have suppliers in China that we have good relationships with, and who deliver excellent value for money. However it is very important to know when and when not to go off shore with your projects or sub projects, as upfront cost is not the only thing to consider when looking at the economics of a project. Examples of our public domain Plant, Tool, and Machine design work undertaken are as documented in the side links. Please contact us to discuss your Plant and Tooling Design requirements.